Will I Need Travel Permits When I Go Backpacking North East India? Why is Backpacking North East India Different From Other Parts of India? What is The Accommodation Like in North East India? India has captured the imaginations of explorers since the beginning of time. While the world has fallen in love with the architectural beauty of the Taj Mahal, and the forts and palaces of Rajasthan, north east India is still an enchanting mystery to many who land on her shores. 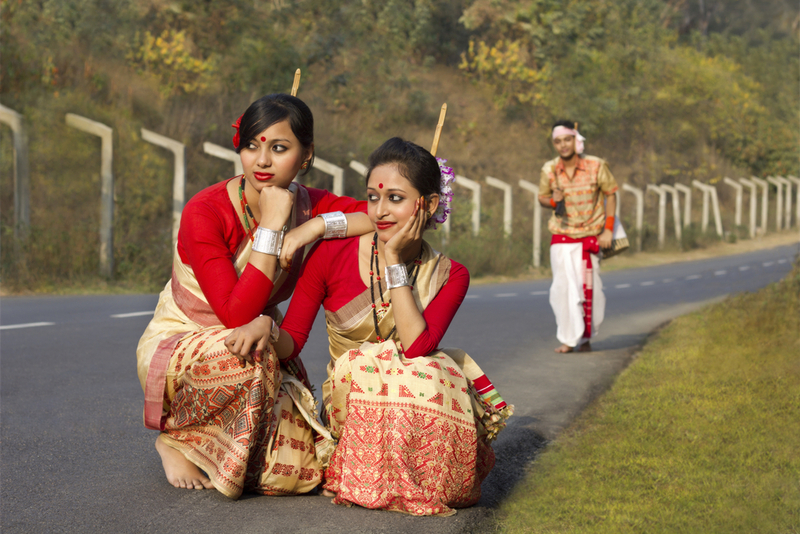 The 7 regions of north east India are known lovingly as the 7 Sisters, which are: Arunachal Pradesh, Assam, Manipur, Meghalaya, Mizoram, Nagaland, and Tripura. 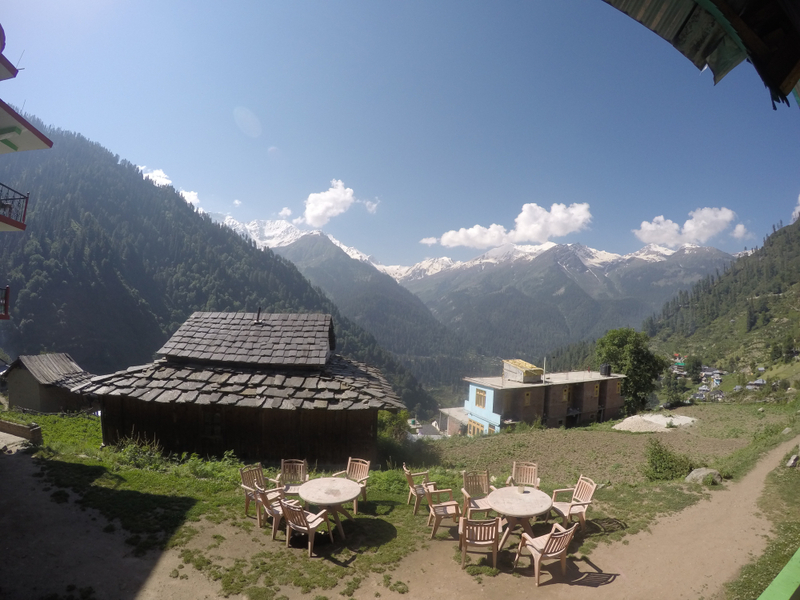 This part of India took my breath away and I hope by the end of this blog, you will understand why. The entire region is nestled between Bangladesh, Tibet, Bhutan and Myanmar. It is a surprising retreat away from the madness and mayhem of Delhi and other stereotypical tourist traps that most people have heard about. 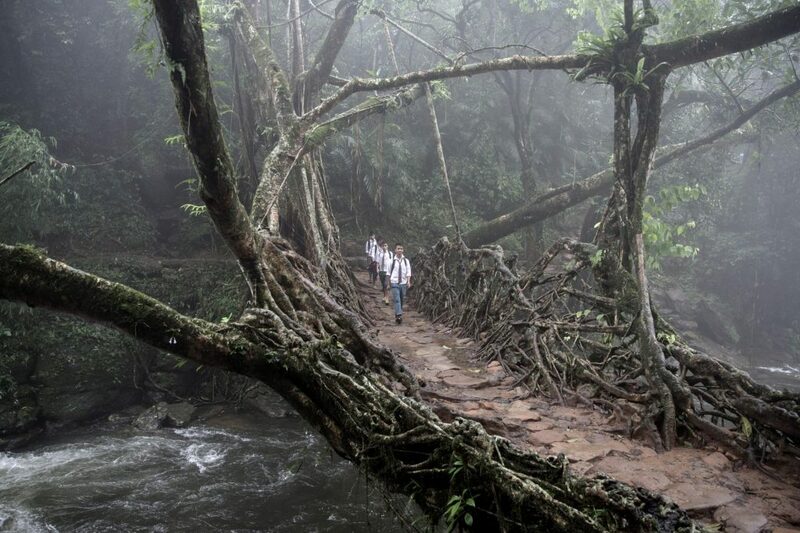 Instead, backpacking north east India brings you face-to-face with tribal cultures, rare wildlife and hidden paradise. However, this blog isn’t just about her beauty. 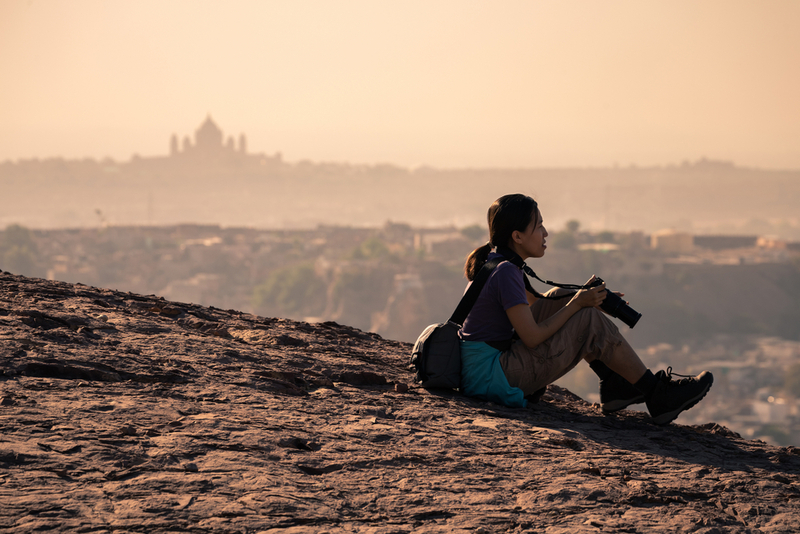 While exploring the 7 Sisters of India is an eye-opening experience, there are practicalities to be considered: where to go, how to get around, why it’s different and when to go. Boy is this a hard section to write. My natural instinct is to say: everywhere, but if time is of the essence when you are backpacking north east India, then below are some of the highlights. 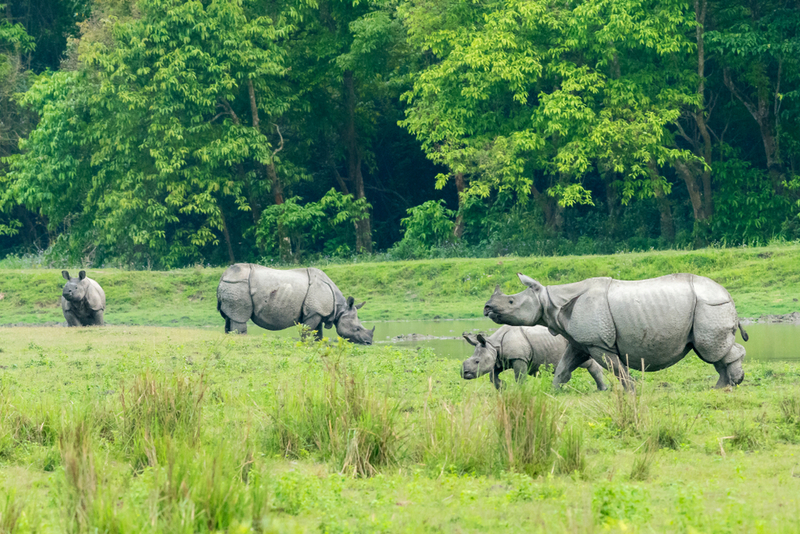 Kaziranga National Park is an area of natural beauty that is located in the northeastern state of Assam. Home to rare species such as the one-horned Rhino, the park is the breeding ground of elephants, wild water buffalo, and swamp deer. Over the last 10 years, there has also been an explosion in the tiger population, which led to Kaziranga being declared as a Tiger Reserve in 2006. The park is a UNESCO World Heritage Site and its 430 square kilometre area is sprinkled with elephant-grass meadows, swampy lagoons, and dense forests, that simply take the breath away. Phawngpui Peak is the highest in Mizoram and is also known as the Blue Mountain. I can’t help but think of climbing mountains as a spiritual retreat, and climbing this majestic mountain certainly does something to your soul. I think it is the landscape, which is surrounded by sheer precipices and cliffs, of which Thlazuang Kham is the most spectacular one. The mountain is famous for its orchids and rhododendrons with spectacular trees and flowers of all colours. You can find many blogs out there that describe the beauty of this place. But it still doesn’t beat the experience and the serenity you get when you sit on one of the steep slopes and passively watch the sunbirds swooping over the cliffs, and hovering over the colourful landscapes. I don’t know, it just does something to you. You’ve never experienced rain until you’ve been to Mawsynram. This is officially the wettest place on earth. The village of Mawsynram is recorded to receive the highest average rainfall on the entire planet of 467 inches of rain per year. The rains in Meghalaya are so intense that the villagers need to use thick grass to protect their house from the deafening sounds of the downpours. Torrential rain doesn’t cover it. It’s probably one of the few places in the world where labourers have to wear full body umbrellas made from bamboo and banana leaf. I say it is one of the few and not the only because Meghalaya overtook Cherrapunji as the wettest place on earth by a very slender margin. Villagers in these parts spend months preparing for the rainy season between May and July and stocking up on food. The rain is part of what makes it beautiful. It’s got some of the most beautiful mountains, valleys and natural scenery in the world and it owes part of its dense, luxurious greenery to the rain. Here’s another interesting fact about Meghalaya – it is one of the only places in the world where you’ll see the living bridges. For centuries, locals have been training the roots of rubber trees to grow into natural bridges, which has lasted much longer than the man-made imitations. 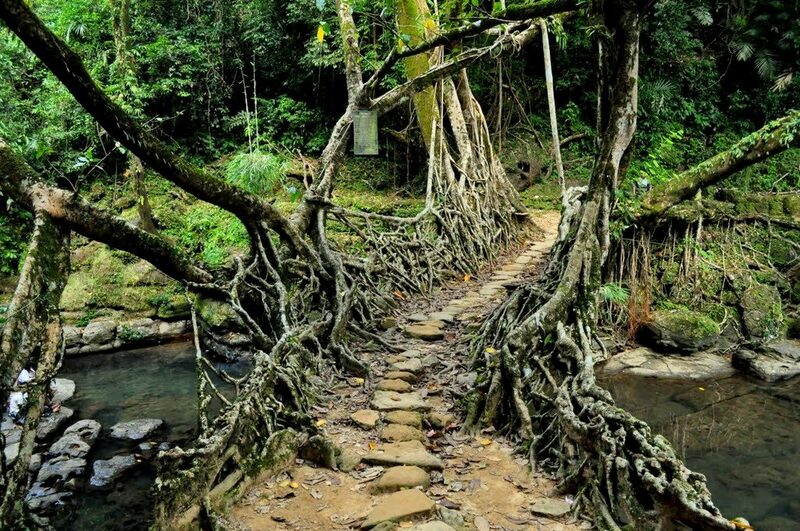 The bridges are called Jingkieng Deingjris, and they strengthen themselves to become more durable over time as the root systems grow. 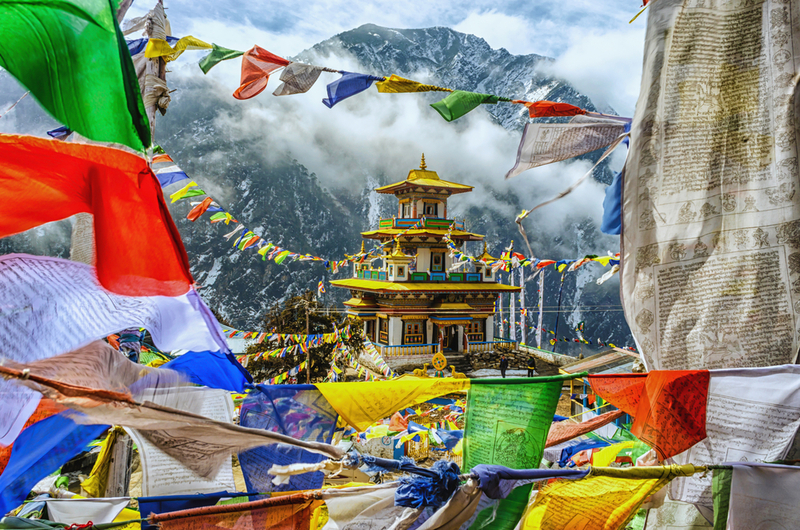 If you’re backpacking north east India, then you definitely should not miss out on Tawang, the birthplace of the Dalai Lama. 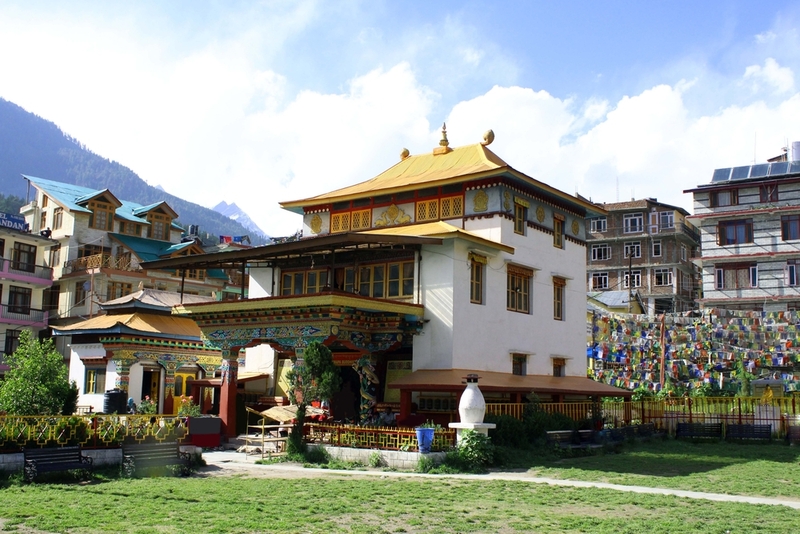 Tawang is the spiritual heart and soul of India, and as you might expect in such a sacred place, it has an abundance of beautiful monasteries, temples, and yoga centres. It is also home to the Monpa tribes and Tibetan refugees. Agriculture and animal husbandry are the fundamental means of the Monpas occupation. This beautiful Himalayan state is home to many colourful festivals and dances, with strong religious and agricultural themes. 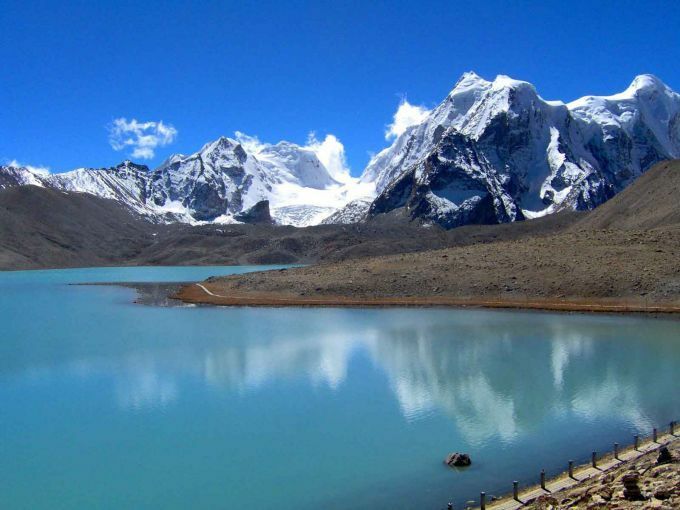 Tawang is also famous for its flora and fauna, superb heritage spots, and natural scenery. Khonoma is a mountainous village in north east India and is estimated to be around 700 years old. It is famous for its forests, gentle slopes and biodiversity. Here you’ll get a glimpse into the day-to-day life for the Naga tribes. One of the quirky things about this village is that every year, 1 September is celebrated as the village’s ‘birthday’, with Khonomaians from far and wide coming to the village to celebrate, or carrying out celebrations wherever they may be. Over the years, efforts have been made in the village to support conservation, and the village is a sanctuary for bird watching and exploring the local wildlife. Agartala has it all. 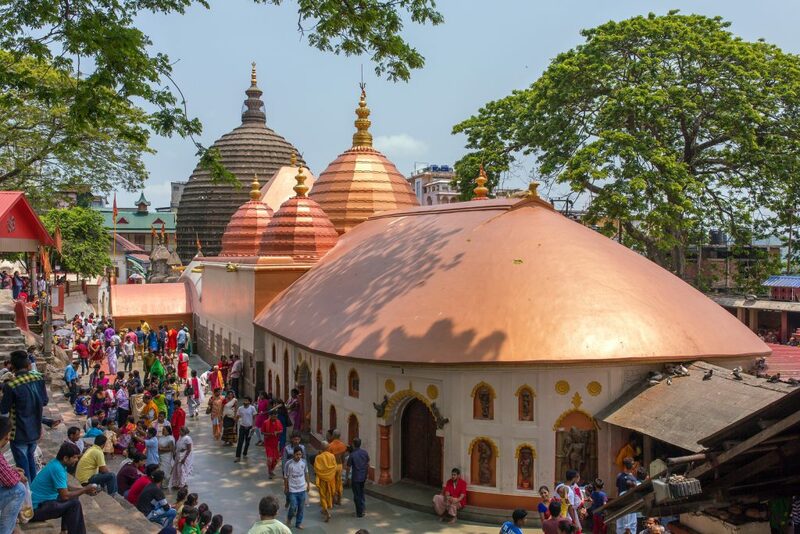 It is the second largest city in North East India after Guwahati and comes complete with palaces, mountains, valleys, museums and heritage parks. One of the most famous palaces is Ujjayanta Palace, which was built by Maharaja Radha Kishore Manikya. It is also home to Sukanta Academy, a museum located in the heart of town. A small planetarium has also been set up within the complex to attract students, research scholars and scientists. 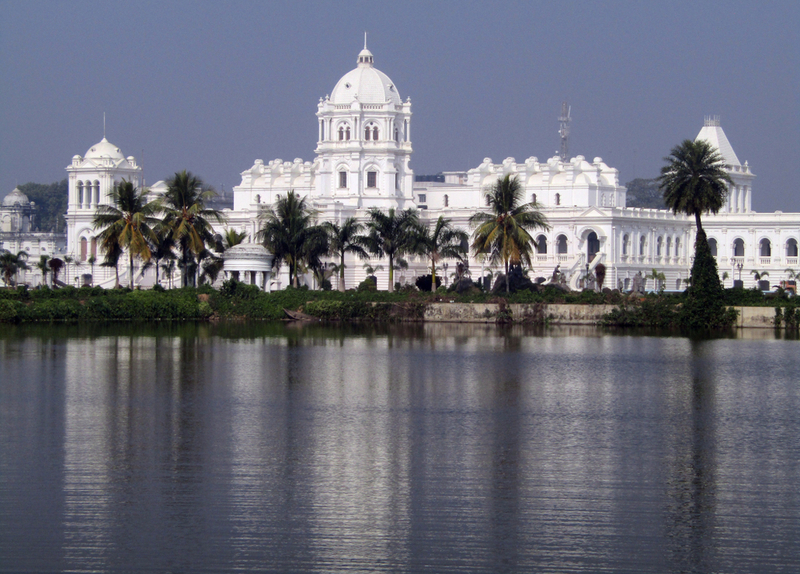 Another little gem in Agartala is the Heritage Park, spread over twelve acres of land. Entrance to the park has an imposing gate constructed with depicting the mixed cultural heritage of Tripura, both tribal and non-tribal. So here’s the bad news: north east India is difficult to travel independently. This is partly because it is still relatively untouched. The roads are unbelievably bumpy, and some areas don’t have roads yet. I would definitely recommend the services of a local tour operator. Here’s the good news – there are plenty of great tour operators to choose from that are priced reasonably. 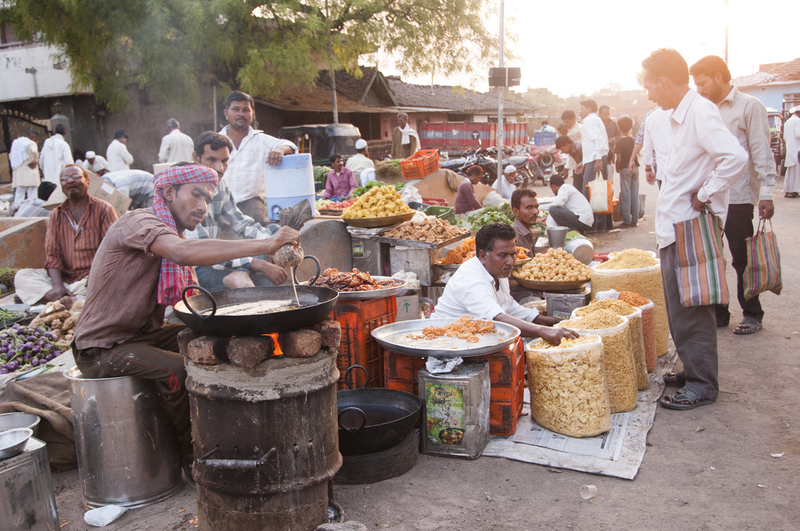 One of the best ones I’ve used is Travel Talk Tours, which offers all-inclusive tours to India. 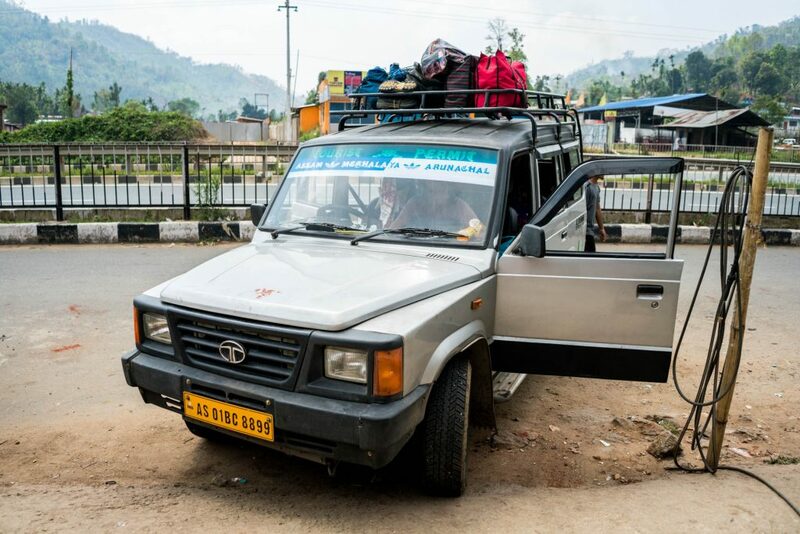 Last time I went to the north east, I travelled to Assam and Tawang, and it wasn’t uncommon to spend 6 hours every day in the car, so you can imagine long it would take to drive independently around the north east. But, this blog wouldn’t be that useful if I didn’t give you some clue as to how to travel around semi-independently. Your best bet is a shared Sumo (which are mini-vans – see above pic). There are no tourist buses and the trains are not connected. The great thing about travelling in a shared taxi, however, is that you get to see more of the landscape without having to wait around for an organised tour. Helicopter rides are almost another option, and these are available. I say ‘almost’ because they are known to crash at high altitudes, so they are not exactly what you would call ‘safe’. The best way to get to north east India is to fly to Guwahati, which is the gateway to the north east. You can then travel by land to your chosen destination. Permits are not needed in every state in north east India. For example, foreigners can travel freely in Mizoram, Manipur, Meghalaya and Nagaland. Indian nationals will need the Inner Line Permit. Neither foreigners or Indians need anything for Assam or Tripura. 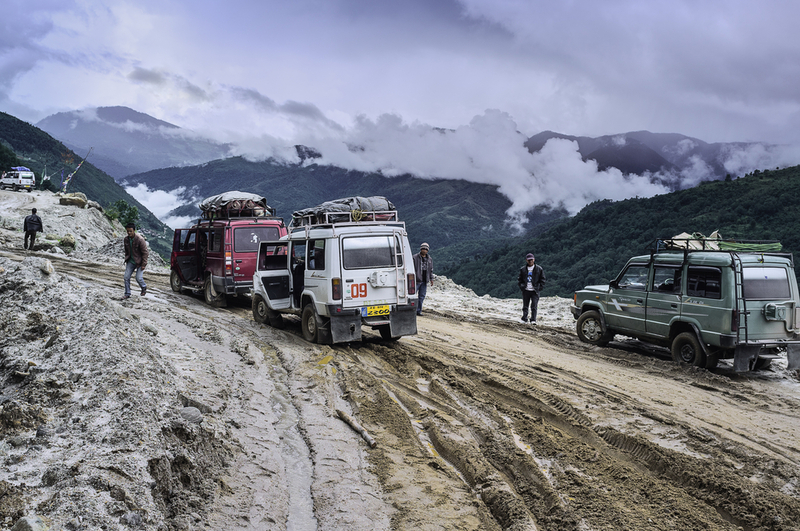 If you want to travel in Arunachal Pradesh, then you will need to apply for the PAP (Protected Area Permit), if you are a foreigner. The permit is around $50, if you get it via a tour company and is valid for 30 days. Indian nationals will need the ILP (Inner Line Permit). 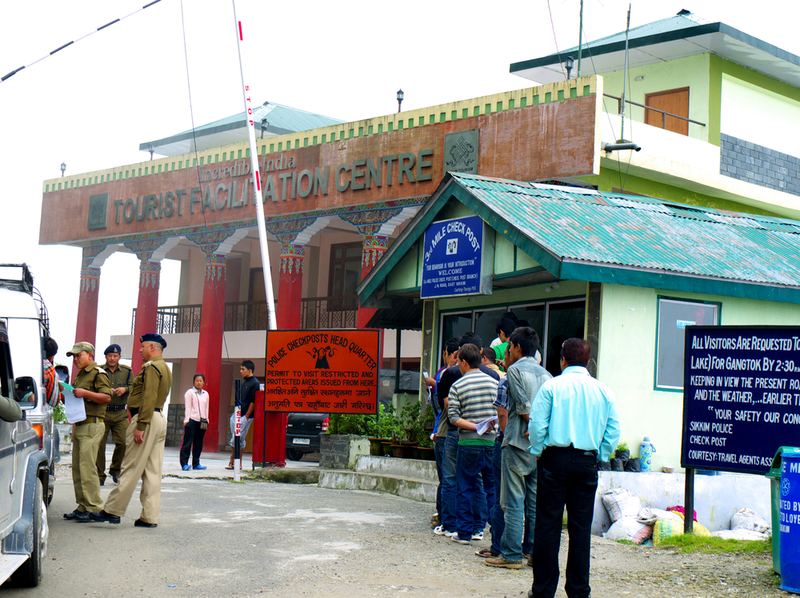 In Sikkim, Indians don’t need the INL but foreigners do. If in doubt, just check at the police station or FFRO when you arrive in each state if you need a permit. Please note that the rules are different for those from China, Bangladesh, and Pakistan. I think the greatest appeal is the fact that it is not as ‘touristy’ as other parts of India. The very fact that it can be a little more difficult to navigate your way around this part of the country gives you a clue as to how off-the-beaten track it is. 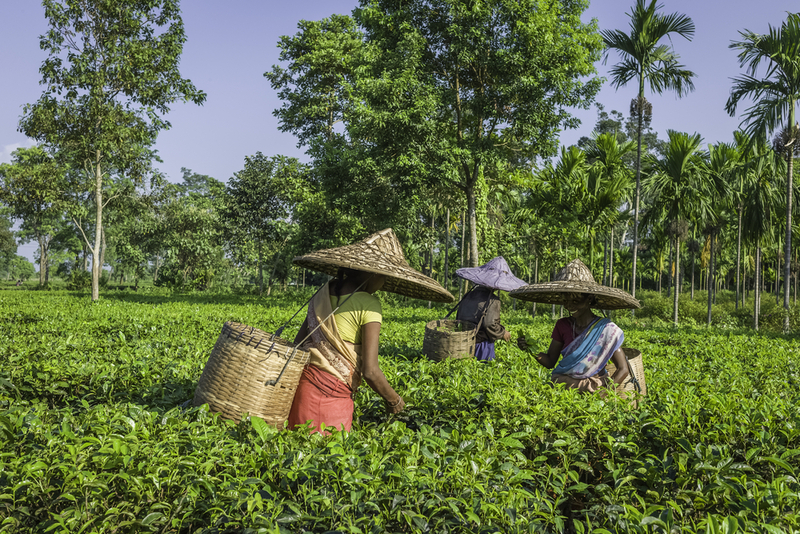 If you want to get to know the ‘real India’, then the north east is a great place to start. But I don’t want to be misleading here. 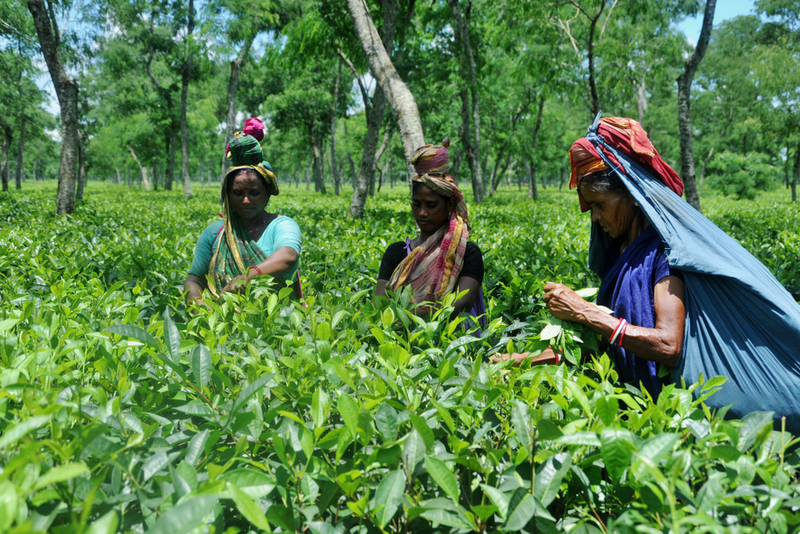 It is not completely devoid of tourists and cities such as Assam are popular starting points for many foreigners. 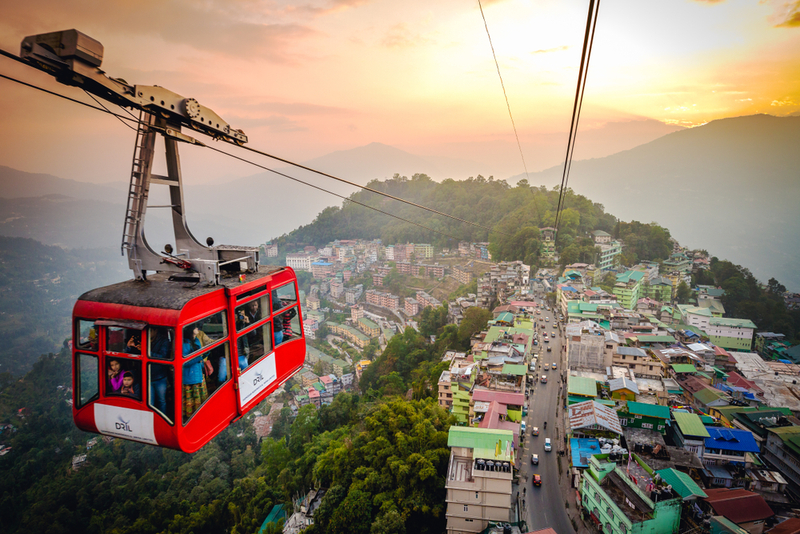 North east India is also growing increasingly popular among tourists, so the ‘unexplored’ gems that you find in this part of the country may not look the same a few years from now. 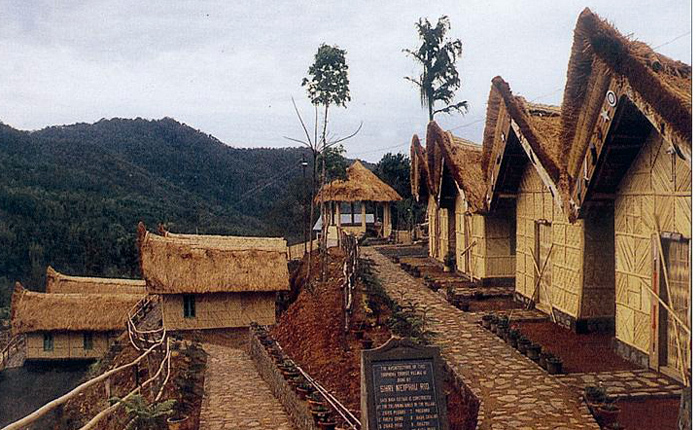 Another great reason to go backpacking north east India is its religious diversity. In these parts you’ll find entire states that are predominantly Muslim, others are mostly Buddhist, Nagaland is overwhelmingly Christian, while states such as Manipur is almost equally divided between Hindus and Christians. The Tibetan influence is also strong in the north east, especially in areas such as Tawang, that are close to the borders of Tibet and Bhutan. This is because of the presence of Tibetan refugees that emigrated to north east India after being exiled from the country. In fact, Tibetan culture extends far beyond practicing Buddhists, and has influenced local cuisines, markets and architecture. 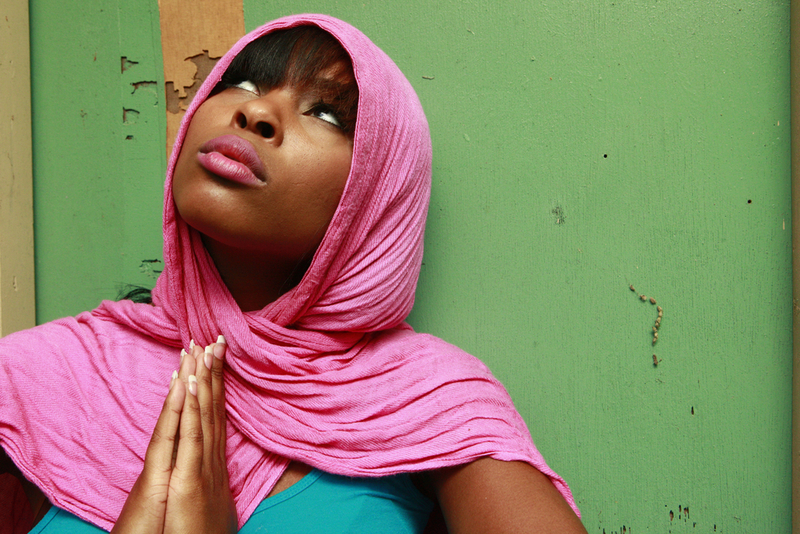 The key thing to remember about the northeast is the diversity in terms of religion, race, tribal culture and food. If you want to avoid the heavy monsoon rains, I’d visit between October and April. Landslides are common here, so I’d definitely stick to the dry season. Just be aware that although it is dry, it is also winter between October and April in the higher parts of the Himalayas, so it can be pretty cold. There’s a high chance that most of the available accommodation will not have heating, but the staff will usually be more than happy to bring you extra blankets and hot water. Be sure to bring plenty of warm clothing when you are backpacking north east India. Although accommodation is still very much in its infancy, you can still find plenty of great hotels, homestays and hostels. It’s just that they are not as abundant as they are in the most popular hotspots of India. Accommodation is very easily arranged by a tour provider but if you want a more personal touch, then you can opt for a homestay. A homestay will give you a better, more personal experience and also provide much-needed income to local people. However, remember that the quality will not be the same as we may expect in the West, so expect squat toilets, bucket showers, cold water and power outages at times. It’s all part of the package! If you’ve been paying attention to any of the news coverage of north east India, then you’ll find your fair share of government advisory warnings, kidnappings, crime, combat zones and murders reported. Frankly, it’s enough to put everyone off. What I’ve come to learn is that the perception created by the media can long outlive the reality of a region. That’s not to say there is no danger. Northeast India was indeed unsafe until the early 2000s. There were combat zones that were closed off to tourists. Tourism is still in its early stages and so you’ll naturally draw a lot of attention. You are also likely to be overcharged whenever you go out to buy something. But I can’t think of a single country I’ve been to where that is not the case. Even in England where I’m from, tourists still get ripped off from time-to-time, and the country is nowhere near as impoverished. Bottom line is, you’re as safe when you go backpacking north east India as you are anywhere else, even if you travel by yourself. 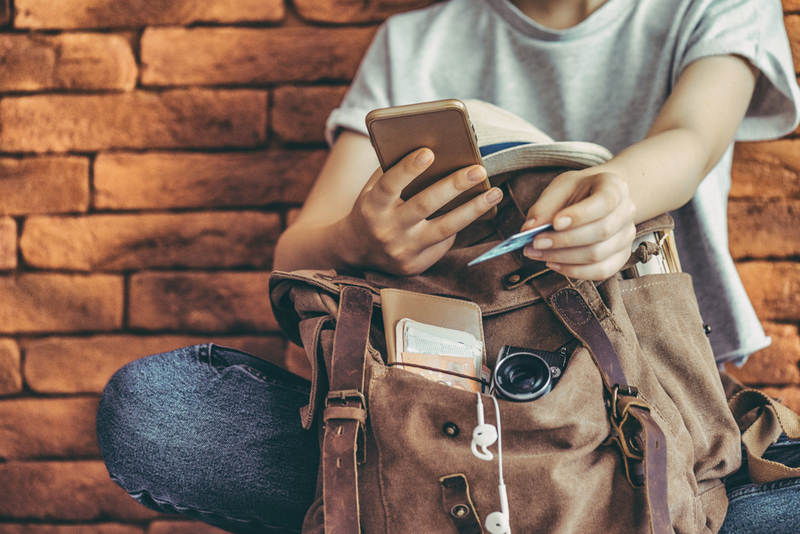 If you go with a tour – then safety isn’t even much of a consideration – just respect local customs, dress conservatively and you’ll more than likely be fine. I felt perfectly safe as a female traveller in north east India. But the advice in this section is not about me. It’s about giving practical, accurate advice to other female travellers. 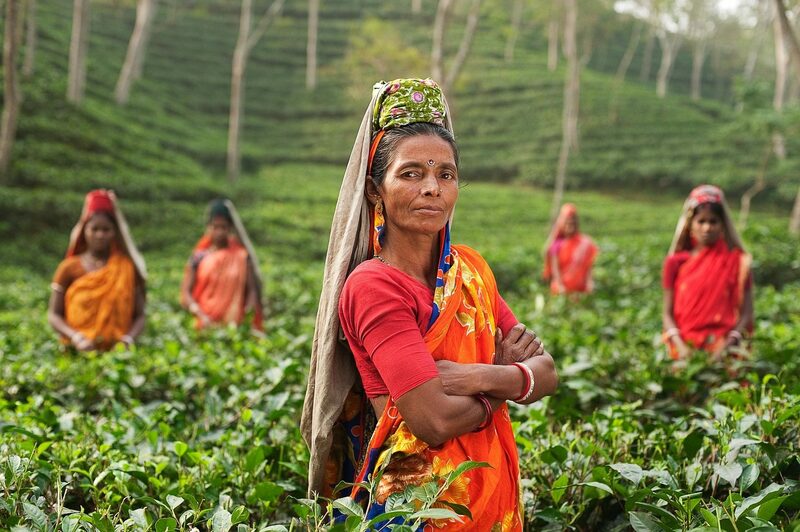 We’ve all heard the horror stories about what happens to women in India. But to understand why north east India is safer than other parts of India, it is necessary to understand the culture. 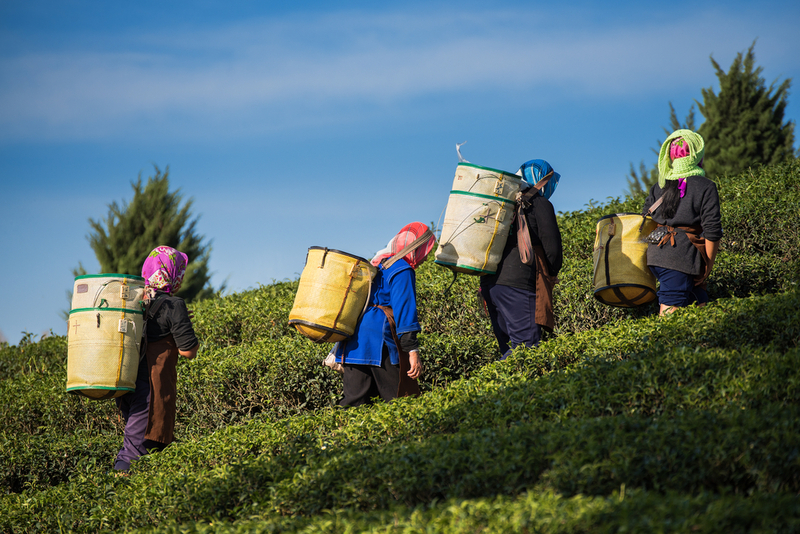 In north east India, women have a much more powerful standing in society and it is common to find female business owners, women travelling alone, female public figures and women who are the sole providers. Some communities, such as the Khasi community in Meghalaya, has the world’s largest matrilineal society where women have the right to seek divorce and the youngest daughter of the family inherits the property. Female travellers almost unanimously report that they feel much safer in the diverse and progressive states of the north east, than they do in the more popular parts of India, such as Delhi. That’s not to say that nothing ever happens in north east India or that there is no crime, and nobody who will harass women. You’ll get that everywhere, unfortunately, and north east India is no different. It just so happens to be safer than many other parts of the country and as long as you observe Indian customs and dress respectfully, you are unlikely to encounter any problems. In Nagaland, women’s rights are mostly traditionally enforced and it is statistically the safest place for women of all the regions in India. There seems to be a high correlation between areas that have a high focus on education and equality and women’s rights. 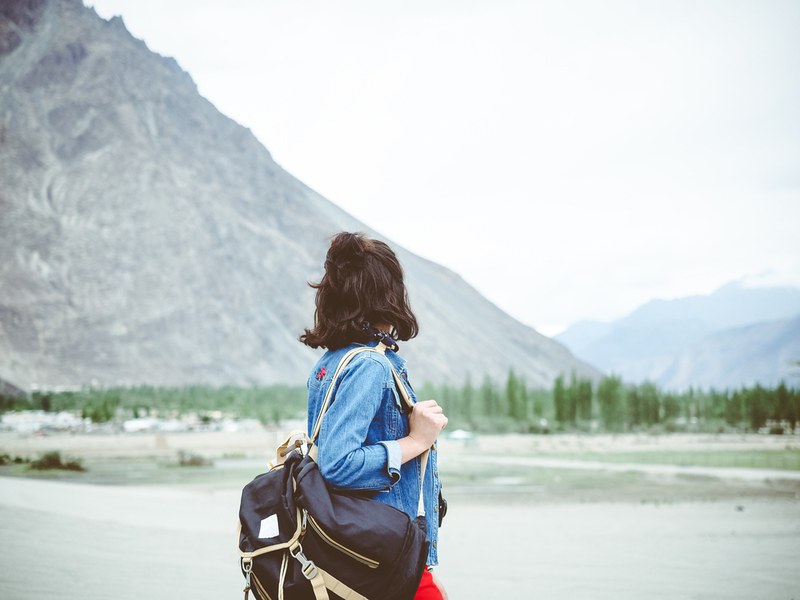 My only advice to female travellers in this part of India is that if you are worried about travelling solo there – don’t be. While no honest blogger can 100% guarantee safety, it is as good as it gets and you are unlikely to face any problems as long as you observe basic safety practices that you would everywhere else. The only thing I’d personally advise against is wondering around on your own after dark. You’ll probably be OK if you do it occasionally in a few of the tourist areas of bigger cities, but it’s ill-advised to do so anywhere you’re not familiar with because the nightlife in north east India isn’t prevalent like it is in other places. I’ve never heard of a tourist being kidnapped or attacked in the region, but that’s no reason to throw out common sense when travelling – especially as a solo female. So if anyone were to ask me: ‘what’s the language in northeast India?’, my response would be: ‘which one?’. What I mean is that there are 220 languages in north east India. Like I said, the region is famous for its ethnic, cultural and tribal diversity and this has resulted in hundreds of languages being spoken in the region alone. You’ll find people speaking everything from Indo-Aryan, Dravidian, Austric and Sino-Tibetan, as well as English. 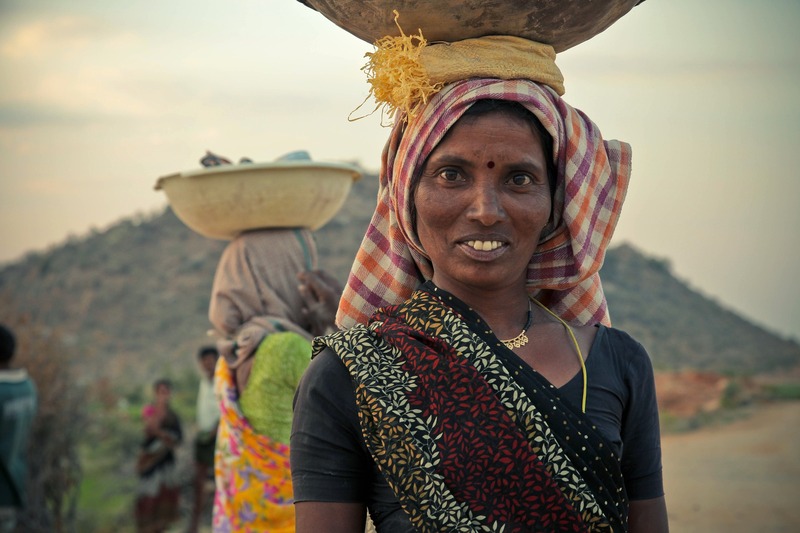 India as a whole is known for the sheer number of languages spoken, and that’s one of the reasons so many people there speak English – because it was the easiest way to get all of the disparate communities to speak the same language. That’s not to say that everyone speaks English. In fact, there are some places you’ll go where this is not the case. But if you are hoping to find the one language other than English which everyone speaks in the northeast, then I suggest you learn several, as there really is no one size fits all when it comes to spoken words in the region. Many of the kids learn some English in school, and there are other areas where Bengali, Hindi and Nepalese is the dominant language. I don’t know about you, but one of the things I love about travelling is packing for my trip. Packing your bags really brings home the anticipation of the journey ahead. It’s one of the best chores that I can think of. But not all packing lists are created equal. The time of year, the country, weather and culture will all have an influence on the kind of things you should pack. So if you go in the wet season, or you go somewhere with a lot of rain such as Meghalaya, then you might want to pack accordingly (e.g bring an umbrella!). I recommend a larger bag that is big enough for all of your travel gear. A 65L backpack is ideal, because it is not too big or heavy on your back, but still gives you plenty of space for the clothing, camera, accessories and toiletries you’ll need. Some of the best brands include Osprey and North Face, but you can also find plenty of others. Obviously, you don’t want to drag your backpack everywhere once you arrive at the various destinations, so be sure to take a smaller bag that you can carry around comfortably on the smaller journeys. 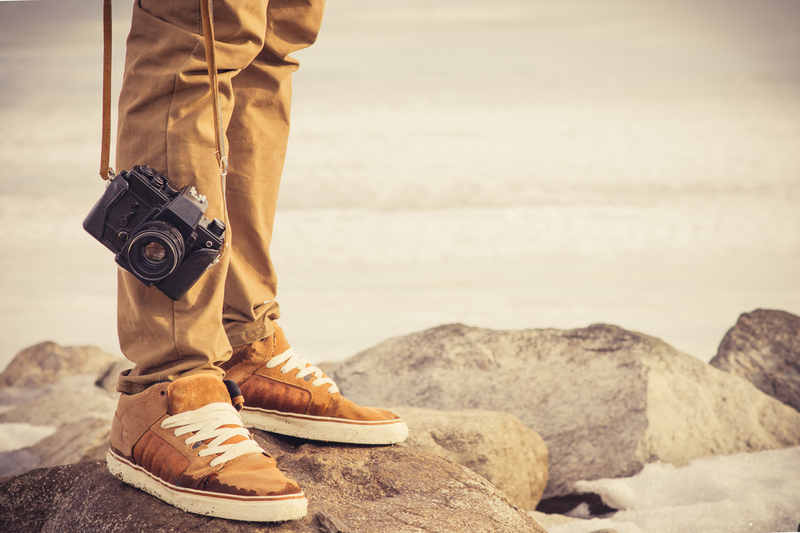 Jeans – a pair of jeans will always be useful when you travel. If you’re a man, you might want to take 2, but most women will also have other types of clothing such as leggings, and long skirts (this is India after all! ), so women will probably only need one. 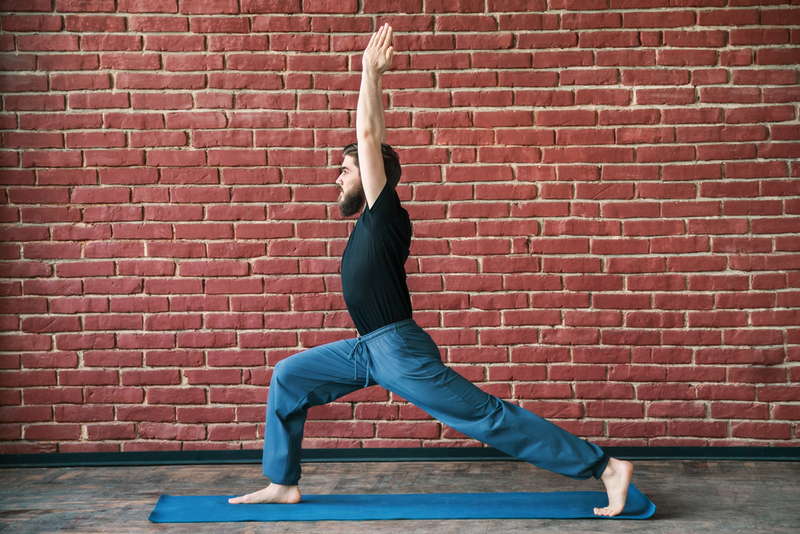 Yoga Pants – if you are planning on going on any retreats, staying at ashrams or practising yoga, then these will definitely come in handy. If you’re not planning on any of those things, they will be the most comfortable and useful pair of pyjama pants you can take with you. Leggings (for the ladies) – leggings are a girl’s best friend. They go with pretty much any outfit and are just that little bit cooler in hot weather than jeans. 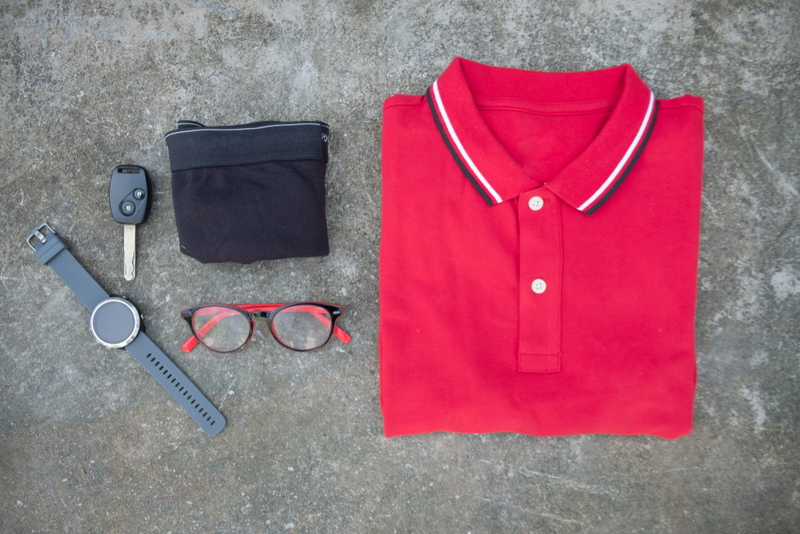 Outfits and underwear – naturally, for any trip overseas, you’ll need enough tops, and underwear to last for the duration of your journey. Of course, it also depends on how long you plan to travel. If you’re only in north east India for a week, then you obviously won’t need to bring as many outfits or underwear. As a general rule of thumb, I take enough clothing to last me a week or two, regardless of how long I plan to be there. 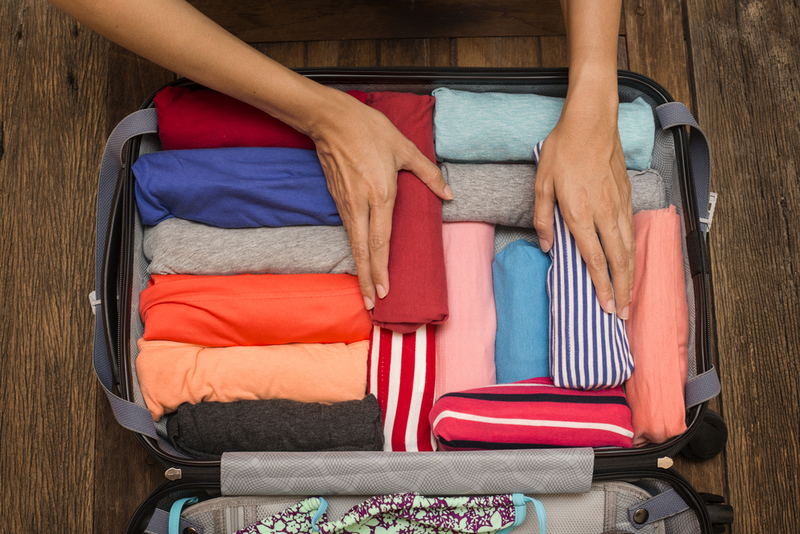 If you travel for 8 months, you don’t need to pack for 8 months, because even in remote areas that do not have hotels or laundrettes, you will always find the opportunity to either hand wash your clothes, or find someone who can do this for you. I did this in rural Nepal and India, where it was easy to pay people to handwash my clothing. I realised that I had made a mistake in bringing 4 weeks worth of clothing – and I ended up having to give half of it away anyway. 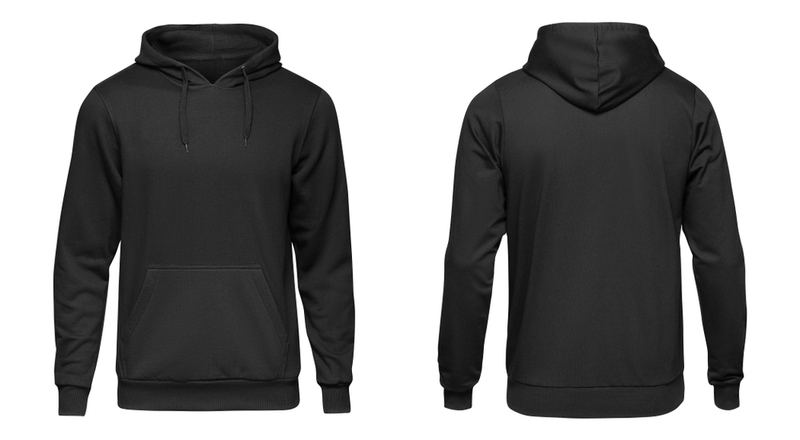 Cardigans/jumpers/hoodies – I would bring at least 2 cardigans/jumpers as it can get quite chilly in parts of NE India. Camera – one of the mistakes I made on my first backpacking trips is failing to get a decent camera. I just used my iPad and phone instead. The great thing about an iPad is that it gives you the option of recording the exact location and time of wherever you are taking pictures, which helped me to remember and document my adventure accurately during my trip. However, I constantly wished I had brought a decent camera for the journey. Make sure you bring plenty of memory cards too – like I didn’t. I regretted not taking that advice. Shoes – bring at least two pairs of shoes and a pair of sandals. If I hadn’t observed this rule during my time away when I damaged one pair of shoes, then my options would have been to either walk barefoot (not an option in India) or wear broken shoes. It wasn’t always possible to buy new footwear in some of the more remote parts of India. Flip flops are a good idea too – as the hotel showers may not have the same standards of cleanliness that you’re used to. Scarves – it can get chilly at times in north east India, so it’s always best to be prepared with a scarf or two! 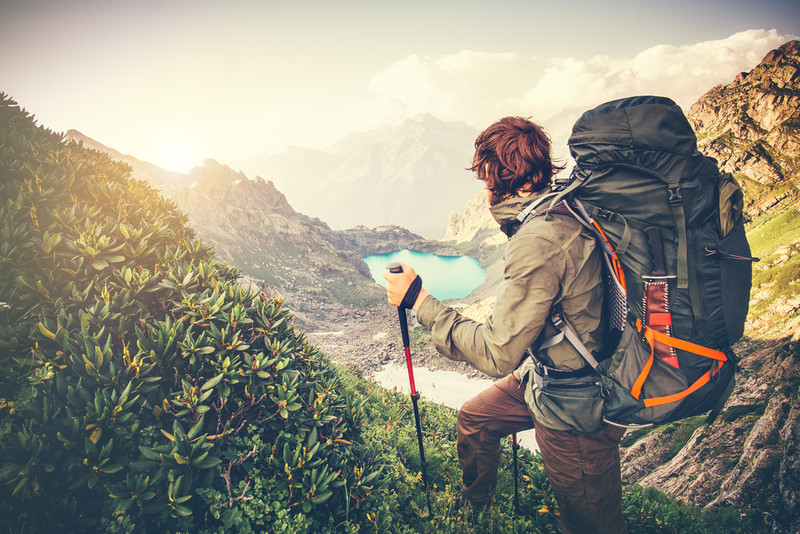 Toiletries – don’t forget to pack things such as soaps, shampoos, toothpaste, combs, lotions, razors and bodywash that you will need during your adventure. Medical supplies – you should definitely pack some mosquito repellant when you’re heading to India, as the risk of malaria and dengue fever is great. 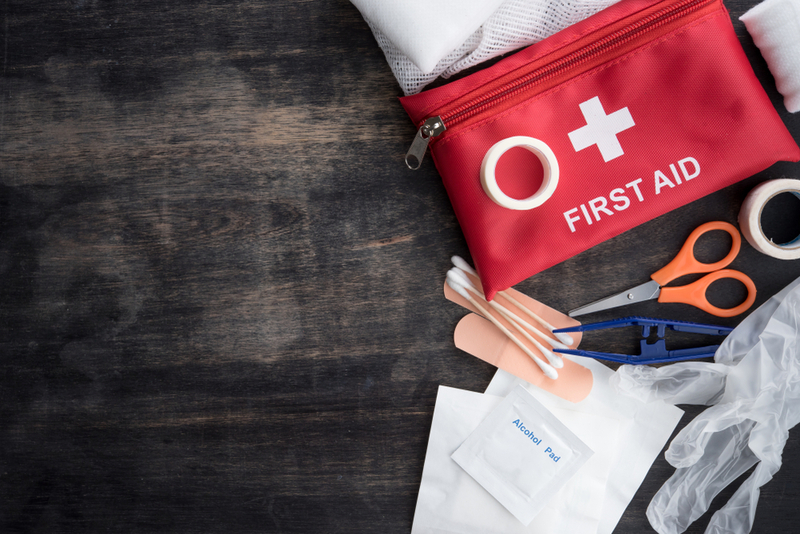 It doesn’t hurt to take a spare box of painkillers, a mini first aid kit, disinfectant and bandaids as well to use in case of emergency. Be sure to take any prescription medications you have a doctor’s note for – but be sure to check the guidelines on what you can and cannot take first! Electronics – this depends on what you’ve got and how much you plan on doing when you get out there. So you might want to carry things like your laptop (I’d carry a mini laptop as opposed to a normal sized one), mobile phone that can accept local SIM cards around the world, MP4, headphones and chargers. 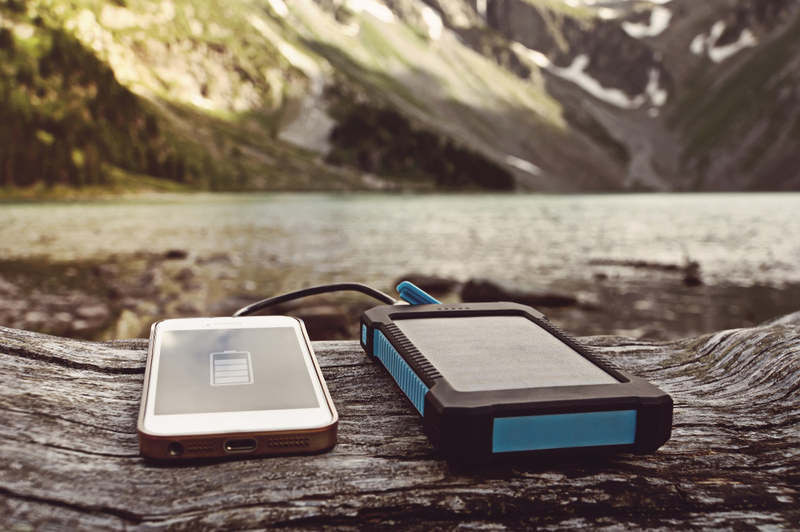 Personally, I’d look into getting a solar charger for those times when getting access to a wall socket isn’t possible. While we’re on the subject, it’s not a bad idea to get access to plug adaptors, that will enable you to plug your sockets in wherever you go. In India, there may be lots of bacteria and viruses that you are not accustomed to and local people cannot always afford to keep good hygiene. For example, fruits and vegetables may be rinsed in tap water that contains a high level of bacteria, and meat dishes may not have been cooked properly. I managed to avoid the infamous ‘Delhi Belly’ when I travelled to India. I did this by sticking to vegetarian foods, using hand sanitizer pretty much all the time, and only eating fruits and vegetables that are naturally covered in skin (such as bananas and oranges). 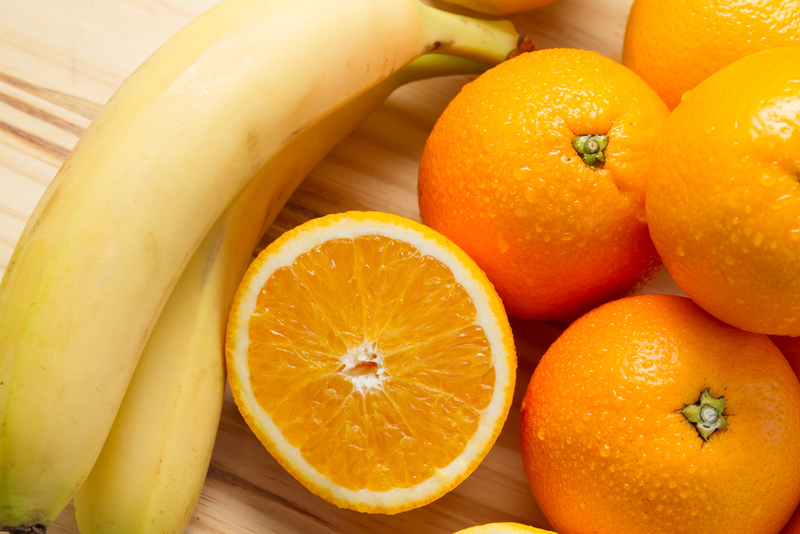 If you do eat fruits and vegetables, be sure that it is cooked thoroughly beforehand. 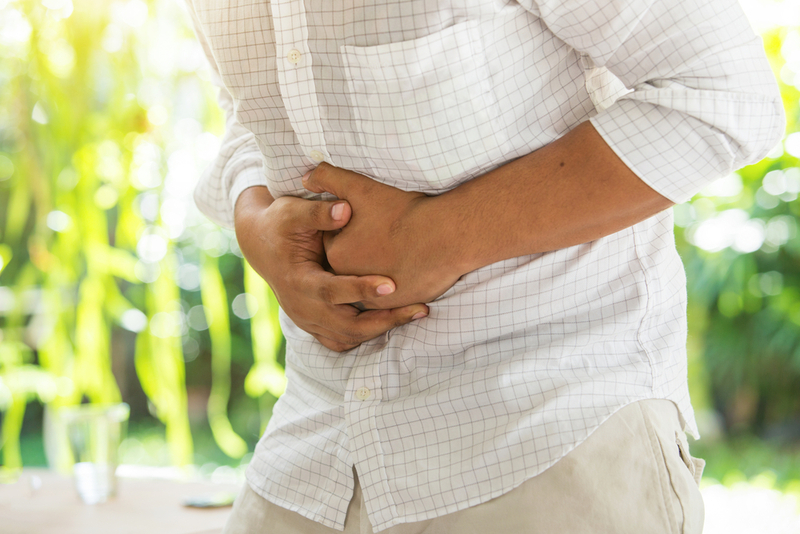 Although I’m tempted to say that sticking to the finest restaurants will help you to stay safe – I also knew people who got salmonella poisoning after eating at some of the best restaurants in the city, so this is not always a reliable indicator of hygiene. Although most people do advise you to stay away from street stalls, I think discernment is probably better than a total boycott. The one advantage street food stalls have over restaurants is transparency. 2) If lots of people are buying from that stall, it is less likely that the food will have been sitting around all day. 8) Consider the cleanliness of the stall – are the dishes being washed? What water are they being washed in? Remember that as with any country you travel to – there are no cast-iron guarantees against food poisoning. I’ve had food poisoning a few times in my home country, England. Sometimes it is just bad luck that will happen despite your due diligence. But I hope that by following the steps above, you will significantly reduce your chances of becoming another victim of the infamous Delhi Belly. Much of north east India is still a hidden paradise. But why should it be hidden? This blog hasn’t even touched the surface of the magnificent landscapes, wildlife, culture and spiritual retreats available in this part of the country. Rather, it is meant as a general guide that tells you everything you need to know when you travel to the region. Backpacking north east India allows you to see a different side of the country that you don’t often see featured prominently in travel documentaries and guidebooks. You are more likely to hear of the Taj Mahal, the Red Fort, Goa and the Golden Triangle (Delhi, Agra and Jaipur). Don’t get me wrong, those places should definitely be on your bucket list, but there’s so much more to India than that. And as long as you observe basic safety practices, customs and respect the culture, your trip to NE India will be a magical one. Treat this blog as a mini guide and you won’t go far wrong! 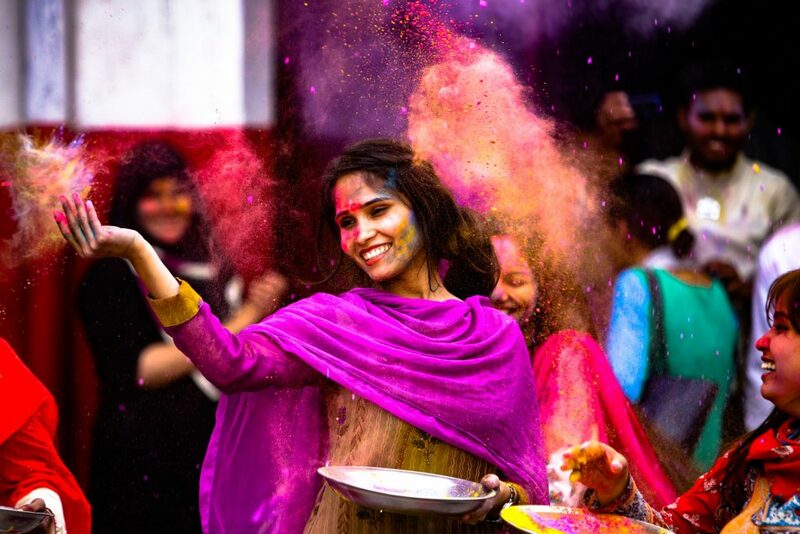 Read more tips and advice about travelling to India by clicking here.